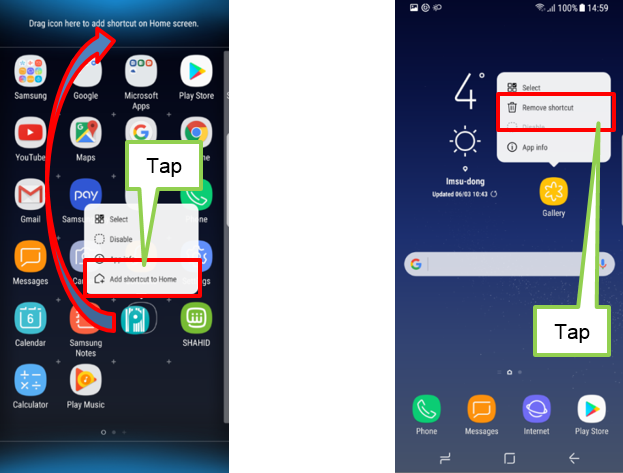 [Galaxy S8/S8+] How can I add shortcut to Home screen or delete shortcut? To add shortcut to Home screen, tap and hold an app and select “Add shortcut to Home” option. Alternatively, please drag icon here to add shortcut on Home screen. To delete shortcut on Home screen, tap and hold an app on Home and select “Remove shortcut” option.